The Financial Times has reported that Jeremy Corbyn has called for the UK to be in a permanent customs union with the EU but only if the UK can have a say in negotiating the EU’s future trade deals. Such an arrangement, as currently understood, would restrict the imposition of new tariffs within the EU, however, the UK would be unable to unilaterally negotiate trade deals with other countries. The Labour leader has not committed to remain in the EU single market stating instead that he would seek a "close relationship" with the EU. The UK Government's current stated position is that it will seek an arrangement whereby the UK is not in the customs union or the EU single market post-Brexit. From the perspective of UK financial services firms currently utilising the passporting provisions of EU legislation, the question of how they will continue to access the EU post-Brexit is of fundamental importance. Passporting is the exercise of the right by a firm, authorised within one EU member state (its home member state), to carry on activities in another EU member state (a host member state) on the basis of its authorisation in its home member state without the need to obtain additional authorisation from the host member state. In the absence of single market membership, and subject to any negotiated settlement, a key impact of Brexit is that UK financial services firms will be treated as "third-country" firms for the purposes of EU financial services legislation. UK financial services firms, therefore, have to assess their ability to use third-country passports post-Brexit. Broadly speaking, the third-country passports rely on the concept of equivalence of regulation. There is currently no single unified concept of equivalence and it applies differently in different contexts. The adjudication of equivalence is made by different EU bodies in each case. Establishing equivalence can be a time-consuming process and equivalence decisions are made at a point in time and have no permanence. UK financial services institutions should, therefore, assess their ability to use third-country passports as part of their Brexit contingency planning. The exact meaning of "a" customs union and how, if at all, that differs from "the" single market may therefore prove to be key for UK financial services firms. 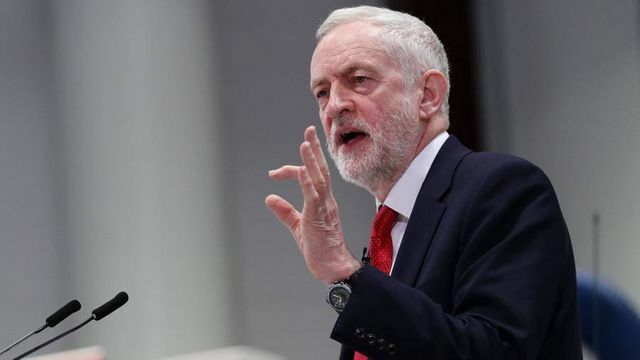 Jeremy Corbyn, the leader of Britain’s opposition, has called for the UK to be in a permanent customs union with the EU but only if the British can have a say in negotiating the bloc’s future trade deals.